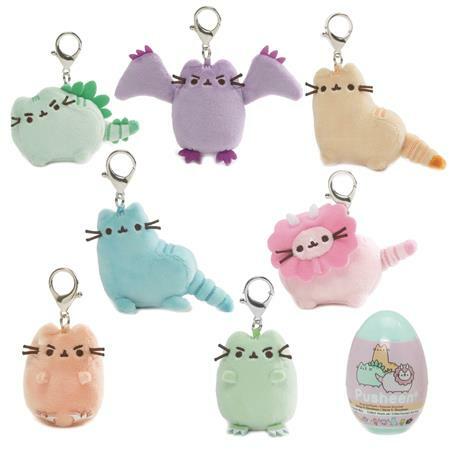 Dinosaurs are back and cuter than ever as the era of Pusheenosaur begins! This series of mini plush bag hangers will bring fearsome cuteness to any backpack! Series 9 features pusheenosaurus, pink triceratops, green t-rex, orange raptor, blue dinosheen, raptor, yellow dinosheen, and a rare mystery style to collect!